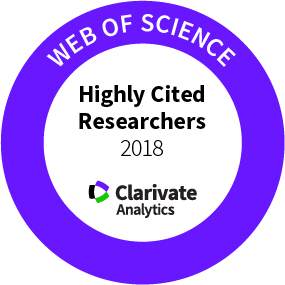 RGC has been named as a 'Highly Cited Researcher' for the 5th year in succession (2014 - 2018) by Clarivate Analytics. 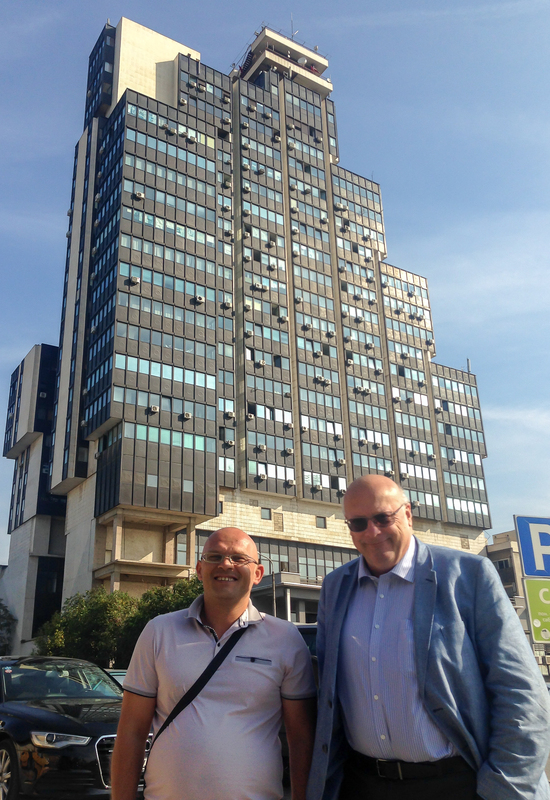 He is just one of 7 UK chemists on the list which comprise an " an elite group recognized for exceptional research performance demonstrated by production of multiple highly cited papers that rank in the top 1% by citations for field and year in Web of Science"
RGC and Chris Batchelor-McAuley are in Macedonia to give the opening two lectures at the 25th Congress of the Society of Chemists and Technologists of Macedonia, 19th - 22nd September 2018, Lake Ohrid. 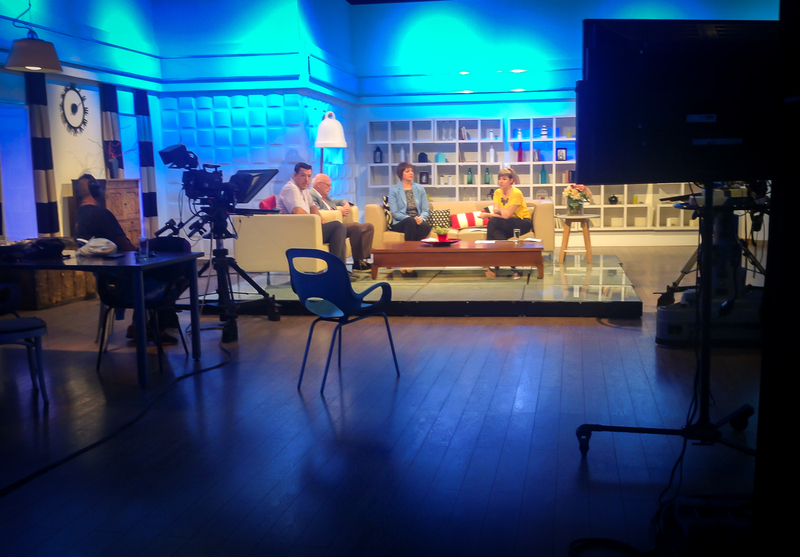 Ahead of the meeting RGC was interviewed at the MTV headquarters in Skopje for ca 15 minutes on MTV breakfast time television around 8am on Tuesday 18th September to discuss the congress, the work he will present at the conference and the research activities of the group. 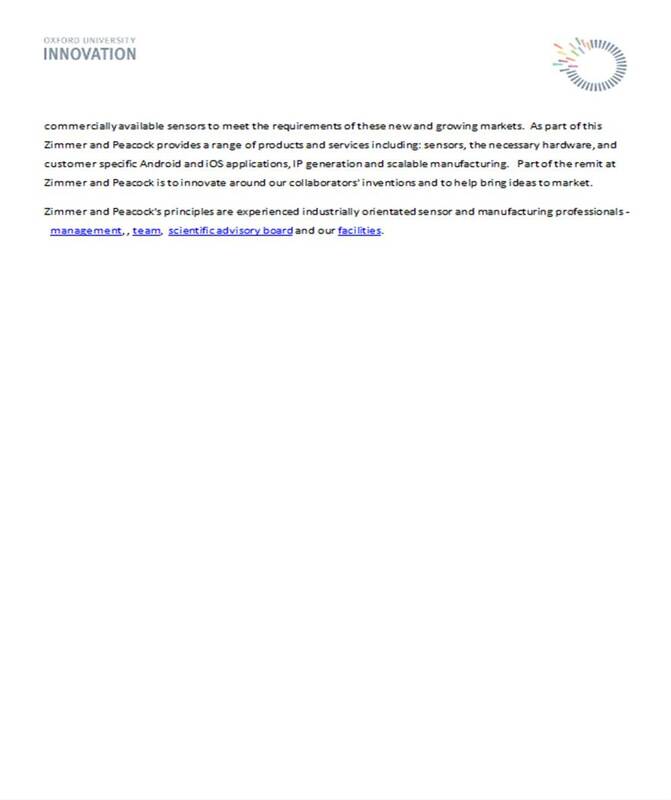 Dr Giorgia Zampardi has been selected for one of the intensely competitive International Society of Electrochemistry (ISE) Travel Awards. 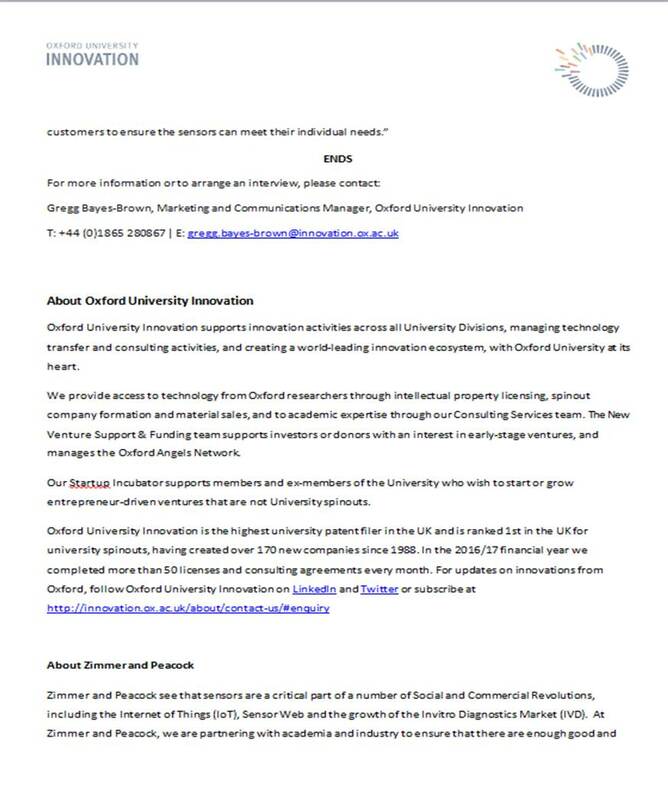 This will enable her to participate in the 69th Annual Meeting of the Society to be held in Bologna in September. 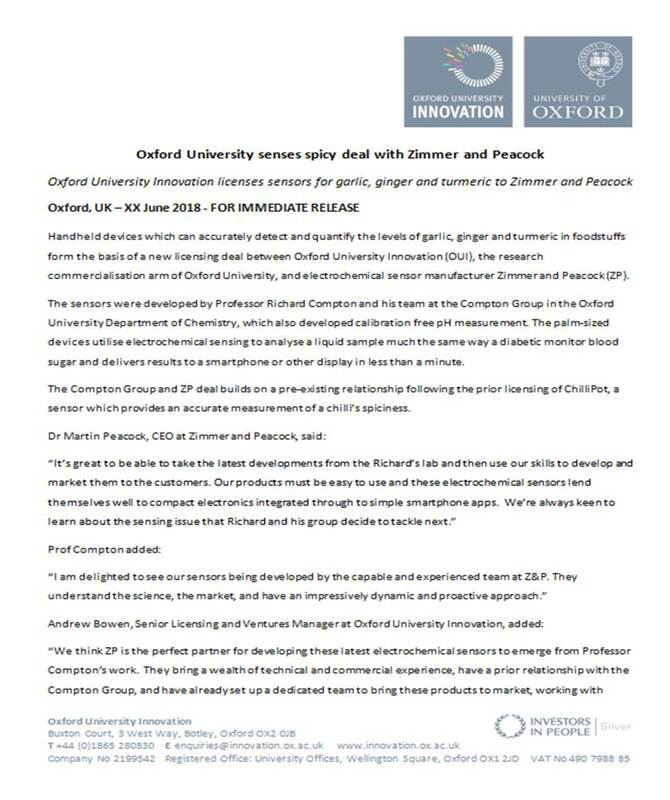 Oxford University Innovation has licensed the Compton Group sensors for garlic, ginger and turmeric to Zimmer and Peacock. 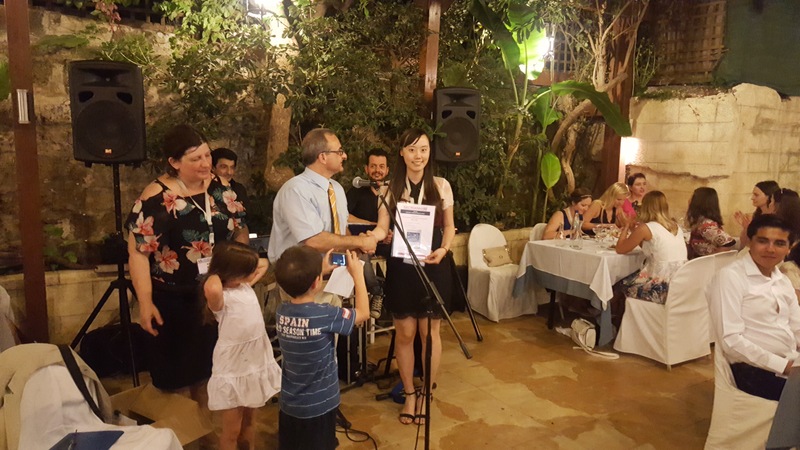 Xue Jiao ('Crystal') has won the Best Poster Prize at the European Society for Electroanalytical Chemistry (ESEAC) 2018 meeting held in Rodos, Greece between June 3rd and 7th. 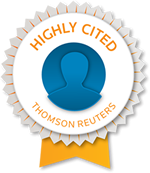 The prize is sponsored by the international journal Electroanalysis published by Wiley. 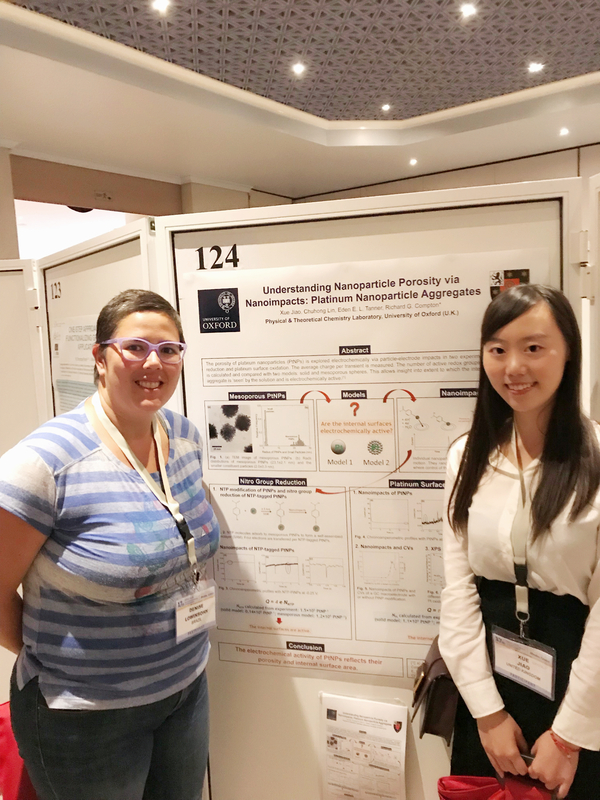 Crystal's poster showed how nanoparticle porosity can influence their electro-catalytic properties using Platinum particles as an illustration. 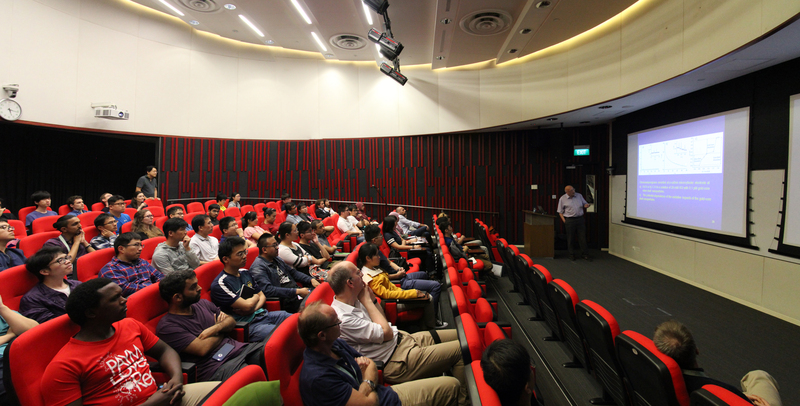 her work demonstrates unambiguously that the internal surfaces are electrochemically active. Crystal is shown with her poster and with Profa. 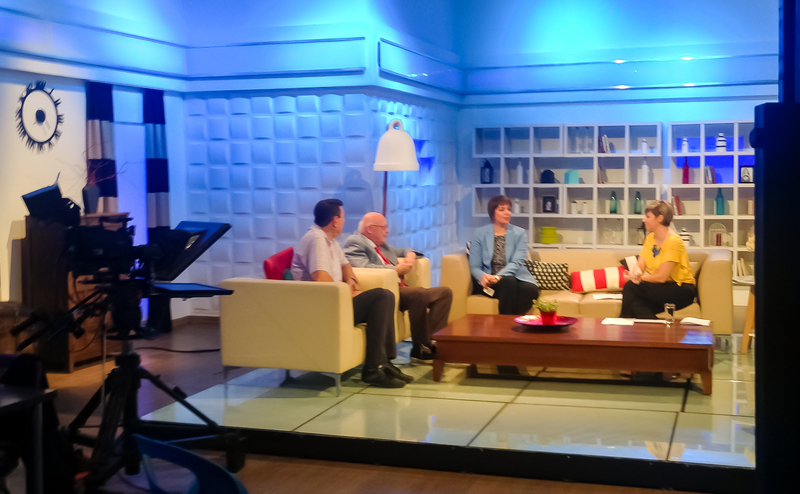 Dra Denise Lowinsohn (Brasil), former group member. 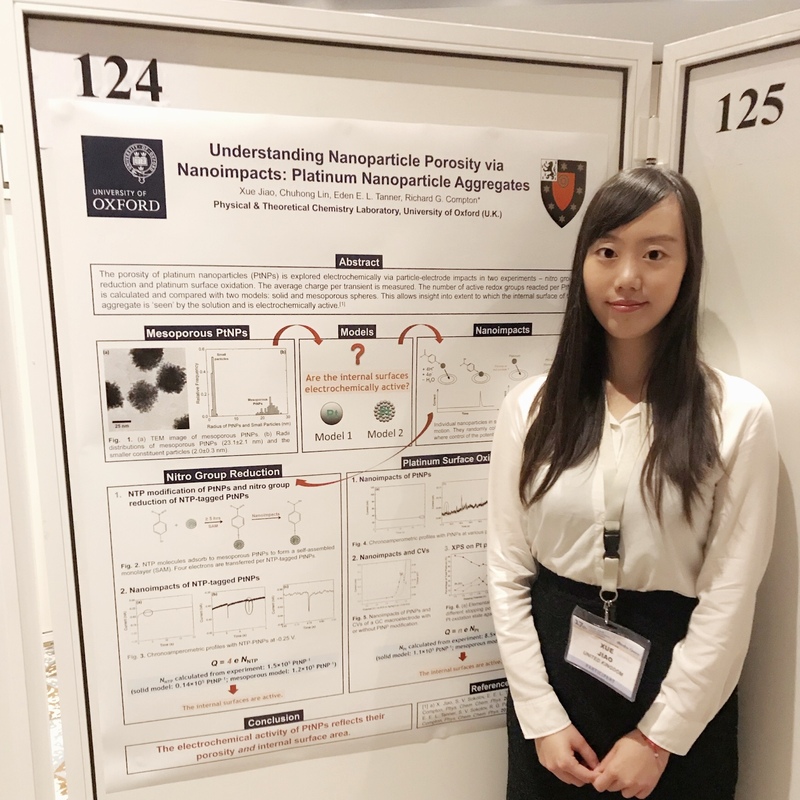 Dr. Xiuting Li’s poster entitled ‘Electrochemical Measurement of Nanoparticle Size, Concentration, Agglomeration State and Porosity’ won the Poster Prize awarded by the Institute of Physics at the RSC-NPL symposium: Nanoparticle concentration–critical needs and state-of-the-art measurement at the Royal Society of Chemistry on 24th April 2018. 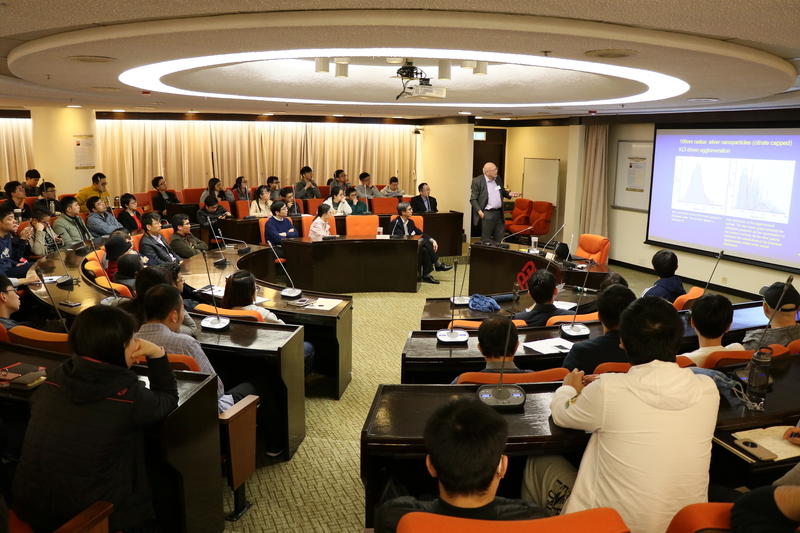 The award was founded by the Chinese government in 2003 with the purpose of rewarding the academic excellence of self-financed Chinese students studying overseas. 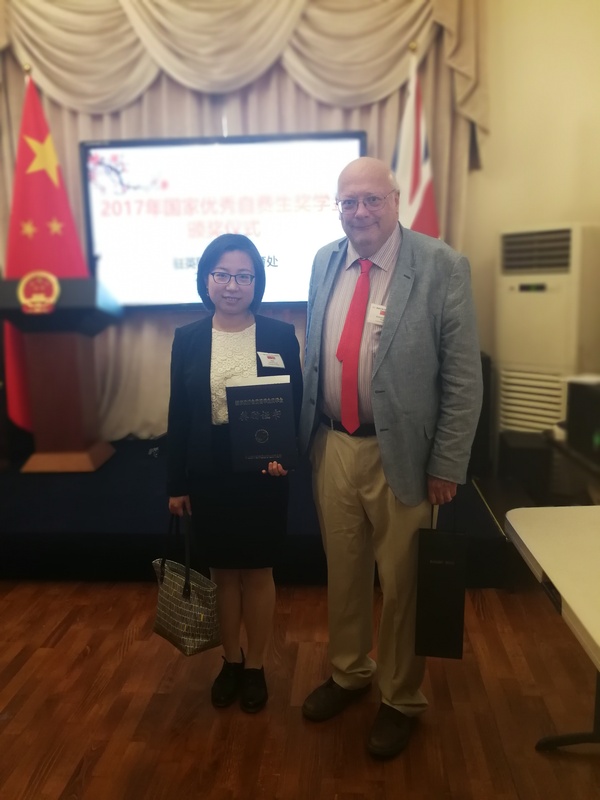 An award ceremony was held at the Embassy of the People's Republic of China in London on Thursday April 19th for the 27 UK based winners of this prestigious competition. 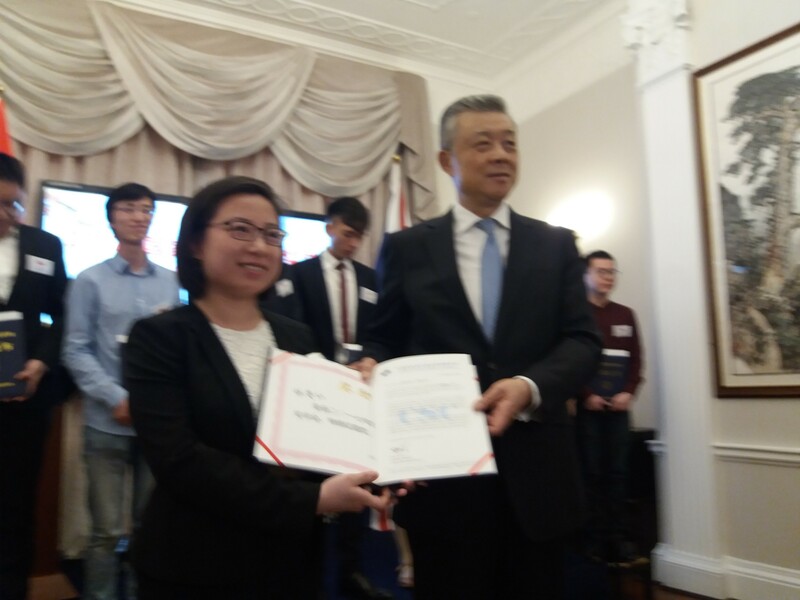 Chuhong Lin was presented with a certificate (and cheque) by the Ambassador Liu Xiaoming.